I live in Mile Oak and have three children. The youngest is now at PACA and was previously at Mile Oak Primary. I have been a governor at Mile Oak for the last 3 years. I am also a member of the Local Governing Committee at PACA. After University, I started my career as a secondary school teacher and then worked at a school for children with Special Educational Needs. I then had a change of career and I now run a digital marketing company that specialises in international growth. I am passionate about making sure that our community has brilliant schools. I want every child to make the most of their opportunities at school and leave Mile Oak Primary ready to succeed at secondary school and in their lives beyond. I have been a governor at Mile Oak Primary since September 2017. 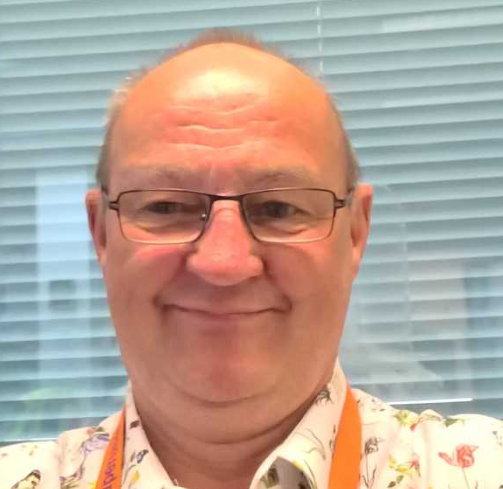 I am Chair of the Teaching and Learning Committee, and since September 2018 I am now joint Vice-Chair. I was a Director of Portslade Aldridge Community Academy Trust and then Chair of Governors from September 2011 until August 2018. I was a teacher of secondary age pupils in English and Drama and have worked as Director of Children’s Services (Education and Social Care) in various local authorities. I am committed to working with everyone in the school community to ensure that all children have opportunities to enjoy and achieve their very best. I live in Shoreham-by-Sea and organise Shoreham Wordfest, an annual autumn festival of books, drama and children’s events. I am also in a retro rock band called OldPlay. Hello. I am Stephen Berry, one of your governors at Mile Oak Primary school. I have been a governor of schools in Brighton for over 15 years. I am currently joint Vice- Chair and Chair of the Business Committee at Mile Oak. I lead the school governors in the areas of Safeguarding and Health & Safety. I am very pleased to be part of the school community and strive hard to make this school outstanding for all the pupils that attend. I have one child at Mile Oak in Year 4, and I have been a parent governor since the beginning of 2018. I have spent the last sixteen years working in equality, diversity and inclusion roles, first in the civil service and more recently at a university where I have now been working for over twelve years. I also have a background in sport, and as a teenager I was a member of the British diving team. I am passionate about equality and inclusivity in education, and I believe that every child should have the opportunity to achieve to their full potential regardless of their background or personal characteristics. I have lived in the Mile Oak area for much of my adult life and I care a great deal about the school and about the educational and social experiences of the children who attend Mile Oak. This is an exciting time for the school and I am really happy to have the opportunity to be a part of this. I am a member of the Teaching and Learning Committee. I am a Teaching Assistant at Mile Oak. I have worked in all the KS2 classes over the years and for the last three years I have been in Year 6. I love it. It’s hard work but so rewarding. I am a mother to one son who is at college studying construction. I spent 10 years in South Africa, in my younger days, teaching pre-school. Being a school governor is full of exciting opportunities and learning and I am enjoying it immensely. I have been a governor for two years. I have been a governor at Mile Oak primary school since September 2017. I work for Brighton and Hove City Council in the Access to Education team. I am also a governor at another primary school in Brighton and have two primary age children. I am a co-opted governor at Mile Oak Primary school. My daughter left Mile Oak last summer, and I live in the local community. I work as a Principal Environmental Consultant and am a member of the Business Committee. I have 15 years’ experience as a governor of a primary school and was Chair of St Andrew’s C of E primary school in Hove for 8 years. I am a Local Leader of Governance in Brighton and Hove. I have a background in policy development and am currently Head of Finance in an IT company. I believe in the importance of schools working together in partnership to bring about school improvement and share best practice. I am Vice-Chair of the Business Committee. I have been the clerk at Mile Oak Primary for two years. I also clerk for another local school. My role is to support the Governing Body with governance and administration. I work closely with Governor Support at Brighton and Hove Council. Prior to becoming a Clerk, I worked in administrative roles within the NHS and publishing. I am a parent of school-aged children and live in Brighton.